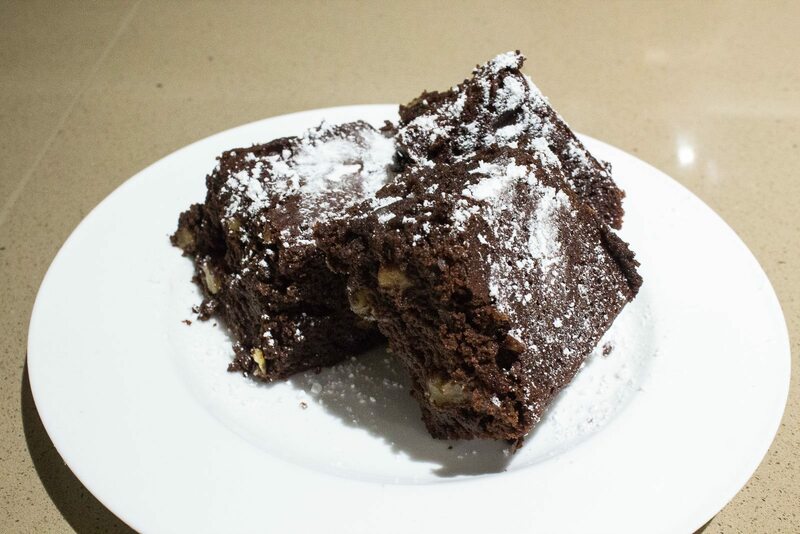 This brownie recipe is really easy to make. 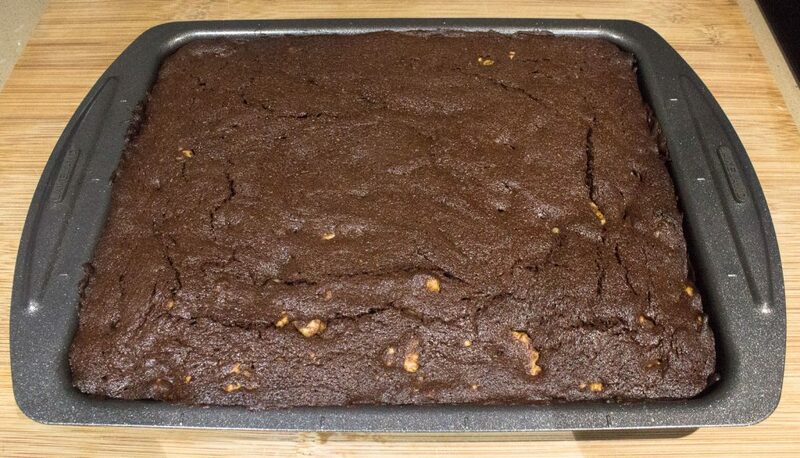 I suggest to prepare it the day before and leave it in the fridge overnight, it gives time to the chocolate to settle and make the brownie more moist and chewy. 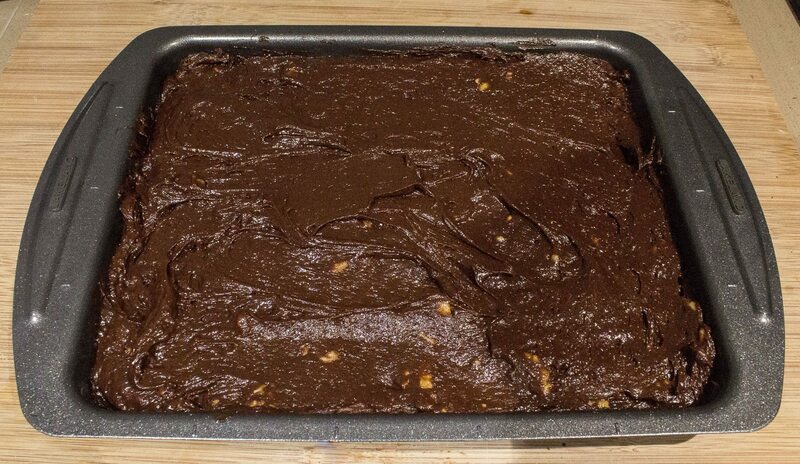 In this recipe I used walnuts but you can replace by any type of nuts. 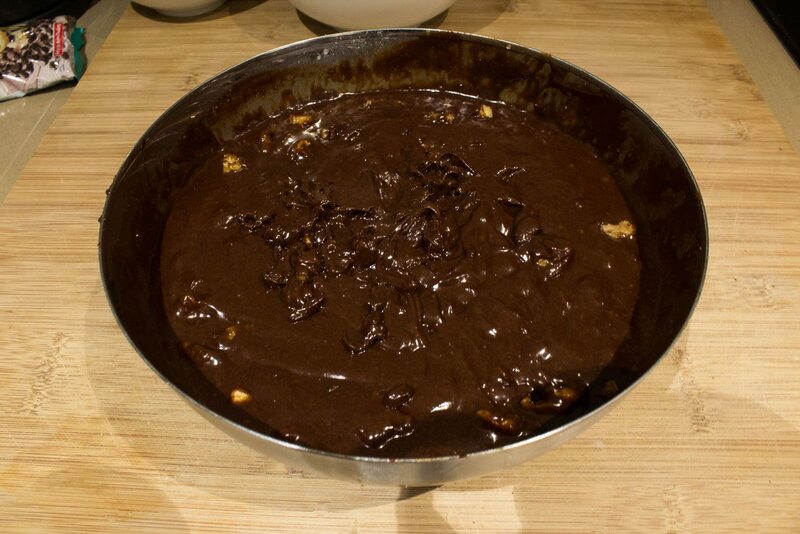 Melt the chocolate broken into pieces and the butter together using the microwave or water bath. If using the microwave, set 30sec . Stir until every thing is melted and smooth. In a large container, mix the eggs, sugar and almond powder. 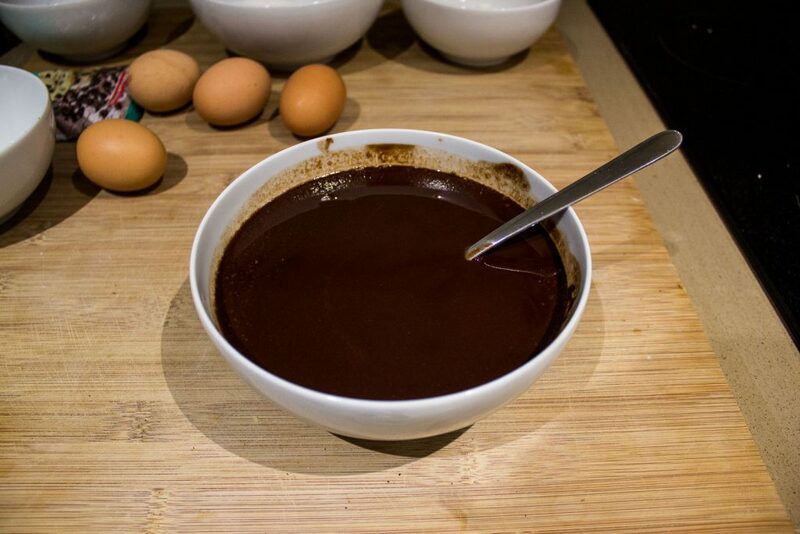 Add the chocolate and mix. Add the flour, baking powder and mix until you do not have any lumps. 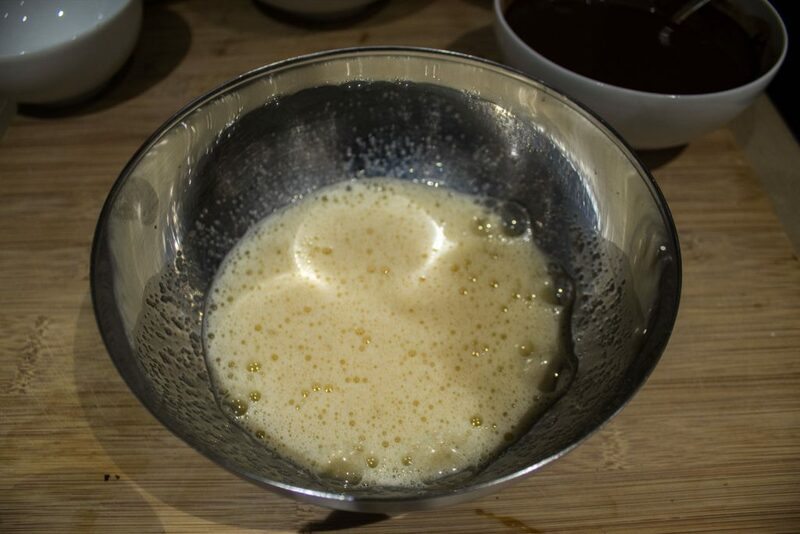 Pour the mix in a buttered mold, your mold should not be too small or else your brownie won't cook enough in the middle, the batter should cover the mold by 4cm maximum. In the oven for 20 to 25 min at 180°C. Cool down before removing the mold. Cut into pieces and store in the fridge for few hours. Gâteau fondant et onctueux. Sublime !